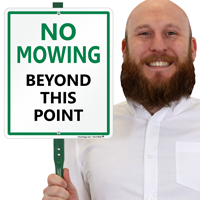 Make this No Mowing sign a part of your lawn. 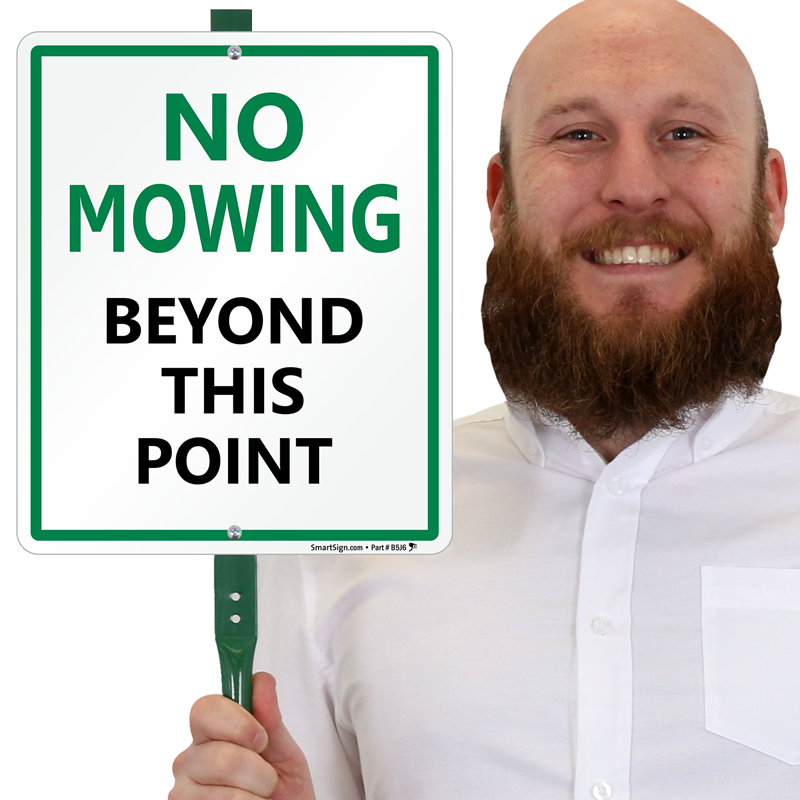 Sign is easy to install in lawns. 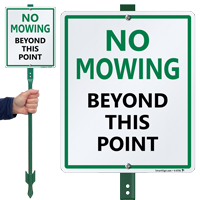 • Lawnboss™ Sign & Stake Kit includes a thick aluminum sign and a tall stake. 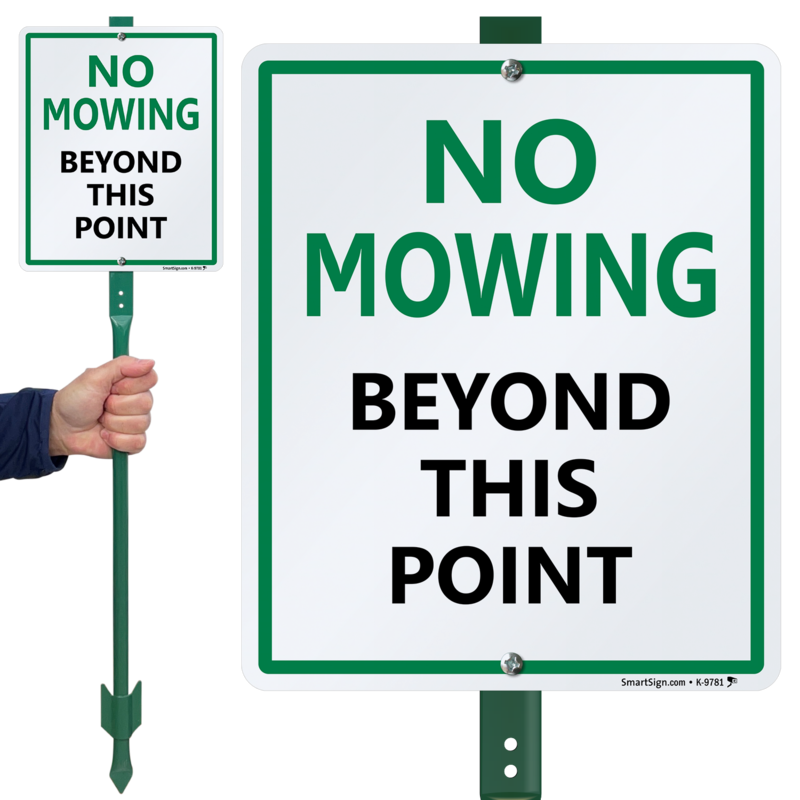 • Sign comes pre-assembled. Just install the stake in the soil using a hammer.